According to a flyer that was posted on Reddit, it looks like Netflix's reboot of "Queer Eye" is coming to Philadelphia. The flyer read, “Hello Philadelphia! Queer is coming to a neighborhood near you…” According to the original poster, Queer Eye is coming to the City of Brotherly Love next season. The Shazza Shop posted a picture of the flyer to their Instagram account on Friday. According to the post, the casting crew visited the shop to hand out flyers. The dress shop also alleges that filming will take place in the Philadelphia and the surrounding area from June to September. The Instagram page says, "This is not a drill! @queereye casting just popped in the shop. they will be filming in philly + burbs (within an hour) from June through September. to nominate a hero, send an email to QECASTING@ITV.COM. spread the word. so exciting for the city!" Redditors began commenting on who they would nominate, including Gritty, though one person did note, "Gritty doesn't need the fab five. He is already a perfect being." One Redditor took it upon themselves to nominate "every guy in the city who think it's socially acceptable to wear sweat pants in public," while another asked, "But can they fix hoagie mouth?" 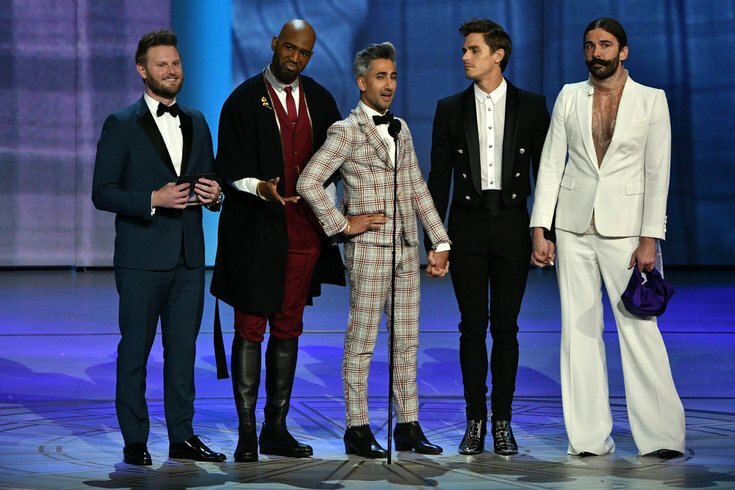 "Queer Eye" just released its third season, set in the Midwest, in March on Netflix. The previous two seasons were set in Atlanta while its third season was set in Kansas City, Mo. This is the second, most-recent show to film in Philadelphia. "Married at First Sight" is wrapping its eighth season in Philadelphia on Lifetime, Tuesday, April 9, at 9 p.m.